Grand Prize Winner -TWO Full Production song recordings produced by Mark Moseley at Sound Control Studio in Tennessee. The winning song from the competition and one other. 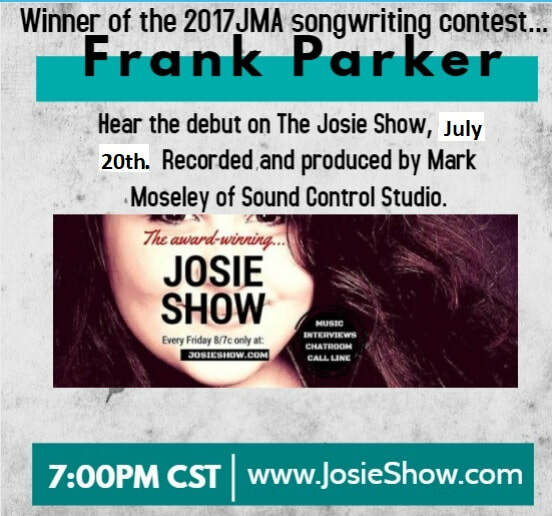 The song will debut on The Live Josie Show, rotation on Country Blast Radio, and promotion space on The Josie Music Awards website & Country Blast Radio website. 3rd Place - Winner will receive $100.00. All winners will be listed on The Josie Music Awards website. Mark Moseley has worked with and recorded artists such as Dolly Parton, Vince Gill, Patty Loveless, George Jones, Porter Wagoner, Lee Greenwood, Willie Nelson, Lynn Anderson, and many other Opry stars. POWERED BY THE JOSIE NETWORK, LLC.